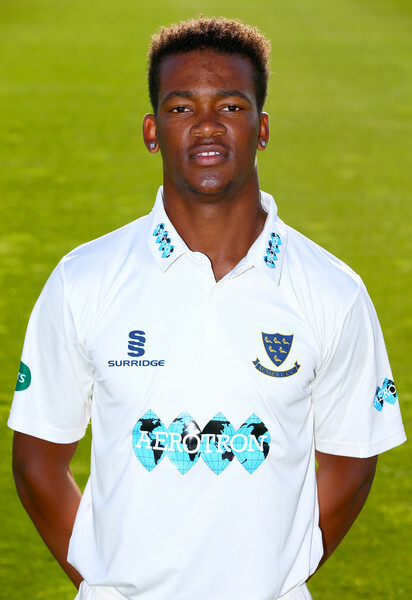 Delray Rawlins and his Sussex teammates were in action for the first time this year, playing a 50-over Friendly against Kent at Stellenbosch University in Cape Town and began their pre-season tour with a victory. Kent batted first and scored 213/4 in their 50 overs, but it was Rawlins’ teammate Stiaan van Zyl who scored a match-winning 70 not out. van Zyl was making his first appearance for the side since a knee injury curtailed his 2018 campaign last May, and he was brilliant on his return as they won by four wickets. After Kent won the toss and opted to bat first, Abi Sakande got Sussex off to the perfect start when he had Daniel Bell-Drummond caught for three. Zack Crawley and Sean Dickson set about rebuilding their side's innings, putting together a partnership of 89, before Rawlins broke the resistance and dismissed Dickson for 26. Rawlins' wicket caused a brief flurry of dismissals, with Adam Rouse caught off the bowling of Will Beer for one and then Alex Blake stumped by Ben Brown off the bowling of Danny Briggs for five. Darren Stevens joined Crawley at the crease to steady the Kent ship, and both eventually finished not out as they set Sussex 214 to win. Luke Wright and Tom Haines opened the batting for the Sharks, with Haines scoring 20 before he was caught off the bowling of Stevens and Wright scoring 43 before he was also caught, this time off the bowling of Fred Klaasen. van Zyl replaced Wright at the crease, and while Imran Qayyum claimed three wickets, with Harry Finch stumped after scoring 13, Rawlins bowled for 0 and Burgess caught for 13, the returning South African was steady on home soil. His 70, which included five fours and two sixes, came off 48 balls, and when Ben Brown joined him in the middle, Sussex had victory in their sights. The skipper scored a swift 44 off 23 balls, but was eventually caught off the bowling of Harry Podmore. Harrison Ward then finished 10 not out alongside van Zyl to secure victory in the side's first match of 2019 with 11 overs to spare.